There is no doubt in anyone’s mind who’s serious and objective that Justice Isaac Lenaola would have made a superb Chief Justice far much better than Mutunga. That having not happened, we’re still lucky to have him and a few others like him at the bench for as I have previously stared, it’s justices like Lenaola who’ll save the court from the embarrassing and intellectually shallow decision in the Raila and AfriCog petitions which unavoidably equally badly reflects on the judiciary as a whole in as far as its image as one undergoing reform is concerned. It’s significant that, while asking the Supreme Court to appoint a panel to hear Kethi Kilonzo’s appeal, Justice Lenaola asked not to be appointed to the panel. I have my suspicion as to why let me just say it goes to show the justice’s foresight and Solomonic wisdom which augers well with his formidable intellectualism. Now, is there any significance to the fact that CJ Mutunga appointed a panel from Jubilee stronghold to hear Kethi’s case? Let’s all give them the benefit of doubt and condemn them only if they give us reason to remove the doubt. In my Star column this weekend IEBC Is Incompetent and Ought To Be Disbanded I reiterate the obvious and start making the case why the obviously compromised and incompetent IEBC should be disbanded or at least have heads roll to start with. The fact is, the discredited IEBC is exposed and will be even more fully exposed when it releases the much awaited data for 2013 elections. We have also come to know something about this body which is clearly a mirror image of the previously equally discredited ECK. Yet they chose to take our country the same path ECK did. We were saved only by the grace of God from reaching the depths of 2007. That something is not surprisingly when it comes to following the law and its mandates, IEBC basically thumbs its nose on us and asks the question popularised among the youth in social media, mta do? Well, we can do something not the least of which is demanding that heads roll at this clearly discredited and incompetent body, starting with the chairman. To be sure, there may be one or two good apples in that box but the rotten ones have made the whole box rotten. Either get rid of the rotten ones or altogether disband the whole thing. 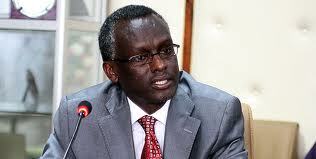 We don’t need a national electoral commission other than a perfunctory one now that we have county governments. Rather what we need in light of these repeated failures to have a credible national elections body, are 47 electoral commissions each responsible for their own county elections. At least with that kind of system, we can make it extremely difficult for the riggers to have a nationwide impact as they have had in each of the elections since elections started mattering in Kenya. To leave IEBC in its discredited self would be akin to having your worst enemy preside over your fate. 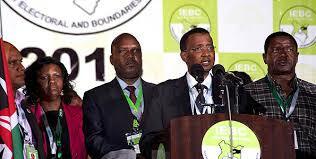 IEBC has shown it is the worst enemy of democracy. The issuance of Kethi’s clearance certificate by IEBC was final (the obviously compromised and incompetent body) had no jurisdiction to hear the complaint filed by TNA adba Jubilee Alliance. I put my apt and copyrighted description of this obviously compromised and incompetent body in quotes because it’s not necessary to use or put that language in pleadings or proceedings but fair game to point out the same by other means, as I am sure they will. The High Court should review the case de novo, meaning, trash the factual finding by the obviously compromised and incompetent IEBC as to whether Kethi is a registered voter and make its own factual findings. One of those factual findings should be Kethi is a registered voter, even if she fails to prove so on account IEBC has proven it’s compromised and incompetent enough to have had someone simply delete Kethi’s name from all of the many registers IEBC illegally maintains of registered voters. The argument that Kethi used an expired passport and copy of her ID to register should be first dismissed on the basis the obviously compromised and incompetent IEBC is estopped from making the argument (legally stopped from making the argument because they already accepted the identification docs, flawed as they may have been it’s too late and detrimental to Kethi to argue that now; had they rejected the items when she presented them, she would have had an opportunity to find other forms of acceptable ID; she obviously can’t do that now as registration is closed). Alternatively, the High Court can simply rule as it should that an expired passport is an acceptable form of identification under the Election Law. There is nothing in our Constitution or Election Law that says a passport must be valid in order to qualify as an identification document; in fact, an “identification document” for purposes of Election Law is defined as “a Kenyan national identification card or a Kenyan passport.” Note the absence of “valid” or “unexpired” before the word “passport” which would have to be present in order to make validity of a passport necessary or required to qualify as an identification document. I fully expect Kethi and her lawyers to make this argument and have no doubt the court will agree as it should and must if proper interpretation and application of law means anything. Either ruling will moot the issue. Whether she voted or where is irrelevant as to the question of whether she is a registered voter. If the rule of law that started taking hold upon promulgation of the new constitution is still alive, we should expect the High Court to rule in favor of at least some or all of these points, especially #3, which should be sufficient to clear the way for Kethi’s candidacy and election as first elected woman senator representing the people of Makueni. I told people on these forums not to get overexcited over this Kethi issue but they ignored and went on to hyperventilate and are now out there somewhere exhausted let’s hope they had fun because the proverbial waste is about to hit the fan. I also said this Kethi saga is more about Jubilee power plays than Cord or even Kethi for that matter. I can now report and Cord deputy leader and former Vice President confirms below that this Kethi saga is a creation of TNA. My own reliable source tells me one William Samoei Ruto is very upset by the powers that be that made an issue out something that they should not have; to be sure, the same source told me Ruto has his ideas on how to handle Raila and Cord, which one can actually see their manifestation if you follow what Ruto and Uhuru have been doing but it appears (my source did not tell me this) there are forces which believe both Ruto and Uhuru must dance to their music. 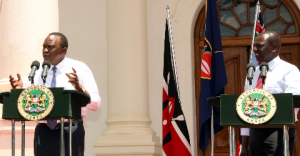 Those very forces may be the very reason the Jubilee coalition may not last beyond a few months before the fissures crack wide open, certainly long before going into the next elections. 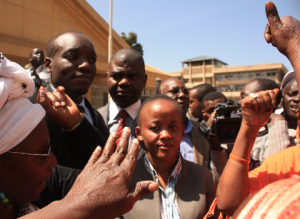 As I stated before, this Kethi saga ain’t over by far and even if the high court does not clear hear, which I fully expect to be the case, namely, her being cleared–unless the case ends in the wrong judge’s hands, this will be a rallying issue for Cord, which has been smarting from yet another stolen election. The Coalition for Reforms and Democracy (CORD) has accused TNA of tampering with the electoral voter register and deleting Kethi Kilonzo’s name. The accusations come a day after Monday’s ruling by the Disputes Resolution Panel of the IEBC which revoked the nomination of Kethi Kilonzo, knocking her out of the Makueni Senatorial by-election. “Of concern is the manner in which TNA, a major player in the Jubilee Coalition raised the issue of Kethi’s voter registration status without the knowledge of the electoral body, begging the question of who is the custodian of the IEBC’s vote register. This clearly shows that TNA is IEBC and IEBC is TNA. 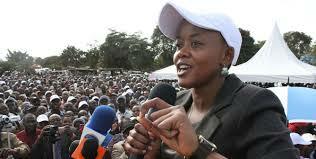 TNA must have tampered with the voter register, hence deleting Kethi’s name”, Kalonzo Musyoka said. CORD also warned of a major political battle even as their lawyers finalised on court papers to appeal IEBC’s ruling that locked out Kethi. “This is a major political war against CORD, disguised as a legal battle in an obvious attempt to impose a leader on the good people of Makueni. 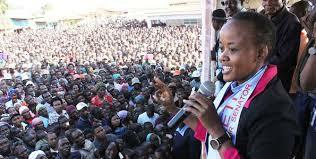 It is clear that Jubilee vehemently tried all means possible to lure Ms Kethi to run for the seat that was held by her late father Sen. Mutula Kilonzo on any of its affiliate parties, an attempt that didn’t bear fruits, hence their resolve to frustrate her candidacy”, said Kalonzo. Nothing surprising here is there?